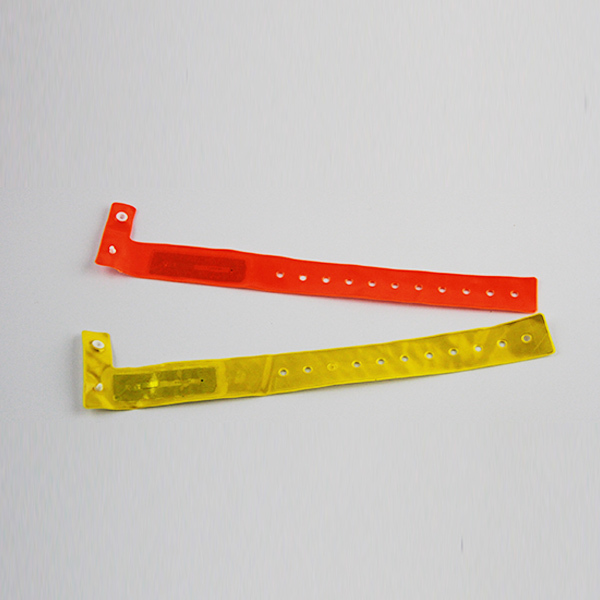 RFID pvc woven wristbands are comfortable and durable, which are equipped with a slider for a one-size-fits-all capability. Can be 1 time use or recycle use depends on the lock type. Widely used in festivals, events, concerts, parties, conferences etc. 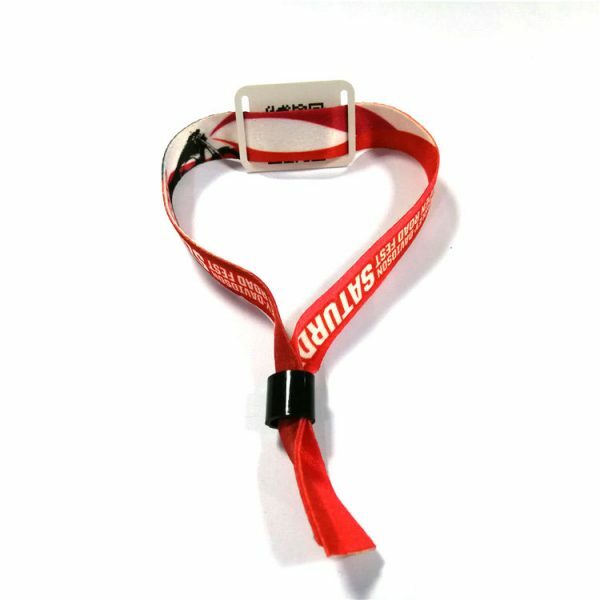 Our Mifare Ultralight C wristband are ideal for access control, event management, cashless payments, and social media marketing programs. 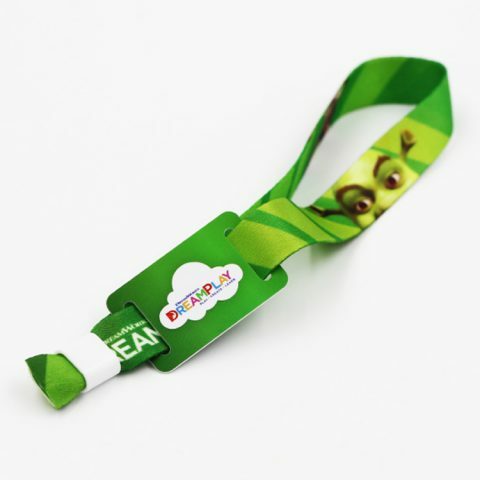 Custom LOGO printing, multi designs, QR code, barcode, serial number printing all accepted for RFID pvc woven wristbands. 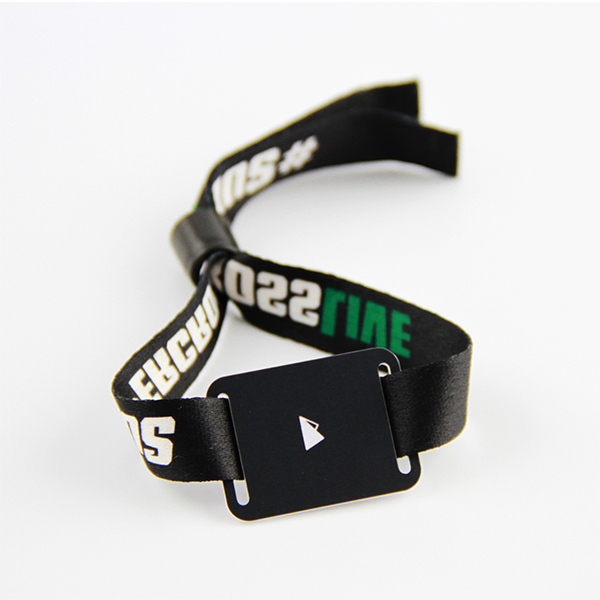 We can also offer pre-programmed, reading UID etc for Mifare Ultralight C wristband. Product name: RFID pvc woven wristbands, wristbands for events, Mifare Ultralight C wristbands. RFID chip ALL LF, HF, UHF all available. 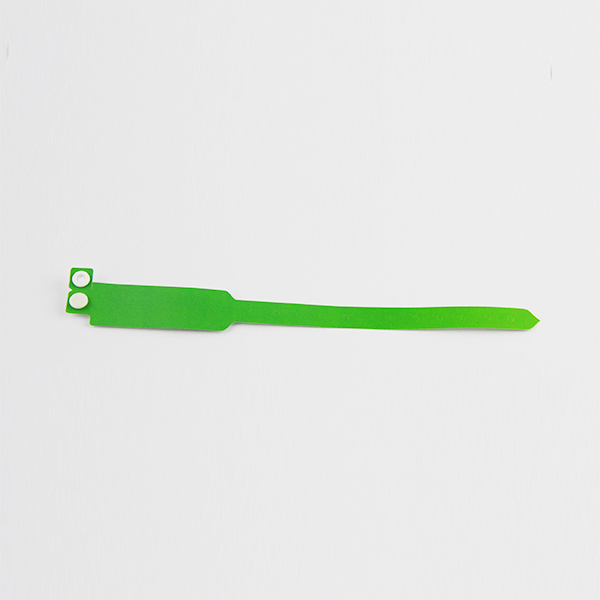 Contact us freely for other RFID NFC chip. 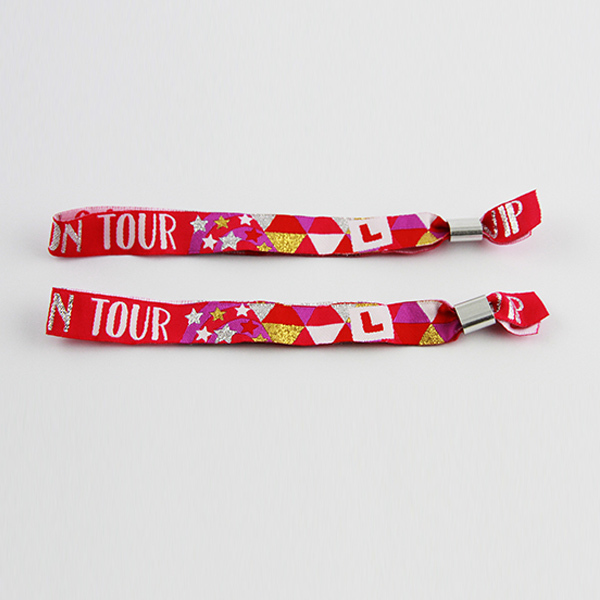 ★There are adult and children size for your choose, and normally, 1.5*35cm, 1.5*40CM, 1.5*45CM etc for adult;1.5*28cm for children or customized. 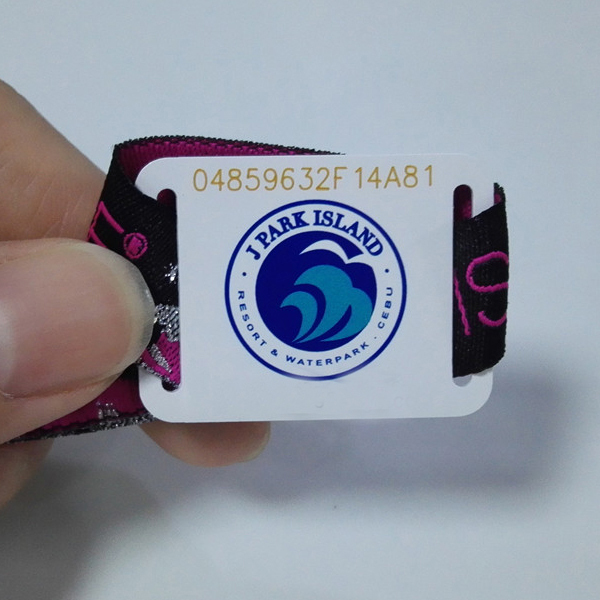 ★Custom LOGO and color printing for RFID tag and woven band. Multi designs is accepted. 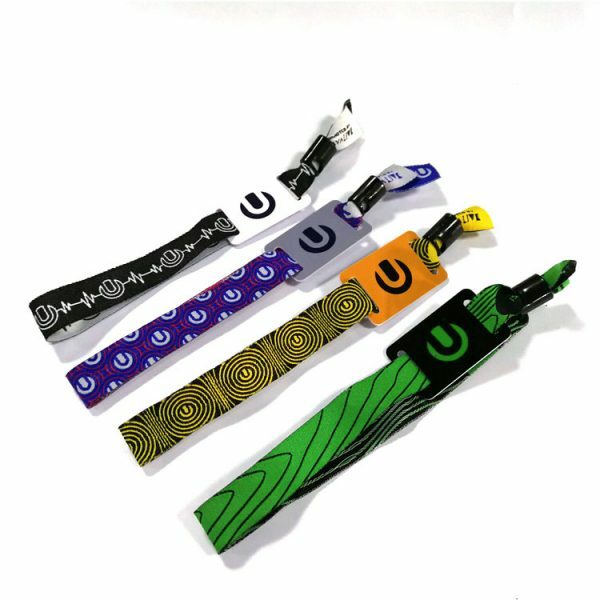 ★The UID (Unique Identification) number of the wristband can be laser engraved on the reverse of the PVC tag, and we can also provide a full spread sheet of every wristband UID for usage at your event. ★We have a strict quality controlling system and have obtained SGS, ROHS, and ISO9001 certificates, enjoy a high reputation in the industry, which can guarantee to provide you with high quality products.